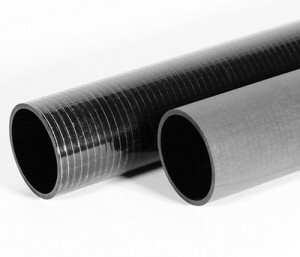 Rock West Composites announces that this month it is significantly expanding its off-the-shelf carbon tubing targeted for use in bicycle frames. To meet growing demand in the hand-built bicycle industry, Rock West now carries an extensive composite tubing selection for the major elements of frame production along with complementary products. Salt Lake City, UT – This month Rock West Composites (RWC) announces the significant expansion of its in-stock, carbon fiber tubing for state-of-the-art, carbon bicycle frame applications. Carbon composite materials are known for their high strength-to-weight properties and ability to accommodate a variety of design specifications. These properties are an important benefit for the performance cyclist and merit the increased price point relative to other tubing materials. Tripling its products available for bicycle frames, RWC’s carbon fiber tubing covers the major elements of frame production including: head and seat tubes with steerer tubes and seat posts, top and down tubes, chain and seat stays, and bottom bracket shells. The company is unique in that it is a one-stop shop for bicycle builders, also offering aero tubing, pre-preg materials, fabrics, resin systems and bonding agents.